Information about U.S. immigrant and nonimmigrant visas and the requirements to apply for each. 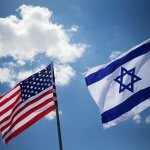 What are US Visa Categories? 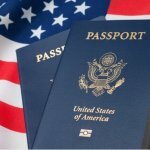 What Are the Required Documents for a US Visa? How Much Does it Cost to Apply for a USA Visa? What Does a US Visa Look Like? Millions of people enter and leave the United States every year. It is a popular tourism and immigration destination. However, if you are not a resident of the US, you will most likely need a visa to enter the country. A US visa is generally a stamp that you get on your travel document, more specifically your passport, which means that you are eligible to enter the United States. Having a US Visa does not necessarily mean that you will enter the US, as this is at the discretion of the Department of Homeland Security (DHS), and the Customs and Borders Protection (CPB) Inspectors. You might have a US Visa but if the inspectors of these departments do not see you as fit to enter the country for reasons that might remain at their discretion, you will be denied entry into the US. Citizens of Visa Waiver Countries and citizens of Bermuda and Canada do not need a visa to visit the US. The Visa Waiver Program allows citizens of 38 countries to visit the US for business or travel purposes for 90 days. Anyone who wants to visit the US for longer periods of time needs to obtain a US visa. To determine whether you can travel to the US under the Visa Waiver Program, you can use our free ESTA eligibility checking tool. Both non-immigrant and immigrant visas also have sub-categories which are determined on the basis of the purpose of your visit. The categories of USA visas have other types of US visas depending on why you want to visit the country. We will go through the most common types of American visas so that you can understand what each one entails. The following table provides the types of Non-immigrant visas, their purpose, necessary requirements, and US application fees. The A1 visa is for diplomats or foreign government officials who are travelling to the US on official duties or representing their government. The A2 NATO1-6 visa is designed only for foreign military personnel who are about to serve or be stationed within the United States. The C Visa is a Transit Visa USA. This means that you are passing through the US, but your final destination is in another location. If you are passing through the US, but want to stop for a layover to see friends, family, or visit places, you will not be allowed to do so with a C visa, but will need the appropriate visa for those purposes. 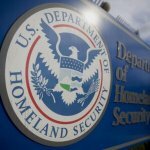 People who have a B-type Visa and those whose visa is waived are also allowed to transit through the US. The E visas are called Treaty Trader and Treaty Investor visas respectively, are for those who have treaties of commerce and navigation in the US. E1 Visa – treaty trader visa. E3 visas are only for nationals of Australia who will be working in specialty occupations. 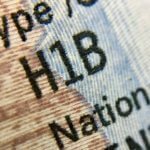 If a person from Australia qualifies for an E-3 visa, then so does the spouse and the children; however, for the spouse, a marriage certificate should be presented. F1 visa – visa for students. F2 visa – dependents of F1 visa holders. M1 visa – visa for vocational purposes. H1B visas are for persons who have been employed in highly specialized fields. This means that they have an advanced degree or a job that cannot necessarily be done without having extensive training. Based on the US Free Trade Agreement (FTA) with Chile and Singapore, the H1B1 visa allows these nationals to live and work temporarily in the US. They can also be accompanied by their spouse and dependent children. The H-2A visa is granted to temporary agricultural workers from selected countries in whom the US has some type of interest. Similar to the H-2A, it is only granted to individuals if they are of interest to the US and only for selected countries. The US has unique education and training opportunities that might not be found in other countries. For those who want to take advantage of these training and education opportunities which are not counted towards an academic degree, the H-3 visa needs to be obtained. The I visa is for representatives of foreign media and journalists part of the press, film, radio, or print industries, who are visiting the US to work or participate in educational media activities. If the company you work for has a branch in the US and you want to transfer there, you will need an L visa. The L1 visa is called an intra-company transfer visa, and the condition is that you must have been employed at that company for at least 1 year within the past 3 years. People who have what is called an extraordinary ability in Arts, Science, Business, Education, or Athletics and want to temporarily work in their field of expertise need an O visa. To get this type of visa, these people have to be essential to the provision of services in their area of expertise. O1 visa – for persons with extraordinary abilities. O2 visa – for the assistants of O1 visa holders. O3 visa – for dependents of O1 visa holders. Q Visas are for people who are visiting the US as part of an international cultural exchange program. This means that they will share their history, culture, and tradition in the US. This visa is also for those who will do some type of practical training and employment within the US. Temporary Religious Workers who want to practice within the US in religious capacities need to get the R1 visa type. TN visas – for Canadians. TD visas – for Mexicans. The V visa allows families who are in the process of waiting for the completion of their immigration process, to be reunited with their family in the US. The U visa is for those who have been a victim of certain criminal activities and that can aid in the investigation or prosecution of those criminals. The F2A and F2B visas are for the families of Lawful Permanent Residents, more specifically their spouses, minor children, or unmarried sons and daughters aged 21 and above. The IR1 and CR1 are for spouses of US Citizens. The K1 visa is for persons who are engaged to a United States citizen and plan to marry them. The foreign citizen (fiancé) in this case is required to marry the US citizen within 90 days of arrival in the country. If the fiancé has children, they are eligible for K-2 visas. The SQ visa is for Iraqi or Afghan citizens who will be working for or on behalf of the US government and get Special Immigrant Visas (SIVs). K3 visas are for spouses of US citizens who are in the process of obtaining permanent immigration status. This visa is made to shorten the separation of the couple until the spouse from the foreign country receives approval for immigration. The Diversity Immigrant Visas are for persons who are deemed to be “diversity immigrants” meaning that they come from countries that have low immigration rates to the US. The SB visa or Returning Resident Visa is for permanent US residents who for reasons beyond their control have remained outside the country for more than a year or their re-entry permit is not valid anymore. The SB visa grants them entry into the US again. The US visa application follows a similar and straightforward procedure for all types of visas. However, there are differences depending on the visa category and type you want to get. To apply for an American visa you must apply at the US Embassy or Consulate in your country of residence. UK residents who do not hold citizenship of Visa Waiver country and are not citizens of Canada or Bermuda are required to apply for a visa for USA from the UK. Canadians do not need a visa nor an ESTA to travel to the US, however, Canadian residents who are not citizens of one of the 38 Visa Waiver Countries, should apply for a USA visa from Canada to visit the US. Australian citizens do not normally need a visa for USA. But, Australian residents who are not citizens of a country that participates in the Visa Waiver Program, are required to apply for a visa for USA from Australia. UAE is not part of the Visa Waiver Program, therefore its citizens do not qualify for visa-free travel to the United States. Qatari citizens, as well as residents, might have to apply for a US visa. To learn how to apply for a US visa from Qatar, read our article. Filipino citizens are not exempt from the US visa application requirement. For more information visit: “How to apply for a US visa in Philippines?“. After you have decided about the type of USA visa that you should apply for, you must find out what the required documents for a USA visa are and start gathering the documents that are required. There are some standard documents that the embassy or consulate of the USA requires regardless of the US visa you wish to obtain and there are some other documents that are specific only to the particular type of visa that you are applying for. Although we have provided the visa application fees for all US visas in this article, there are some additional fees that you must familiarize yourself with. To learn more about US visa fees, visit the article. When you are granted a visa for USA, it will look at the picture below. You should check whether it has your correct information that matches the data in your passport, and all the parts that are in the sample visa. If it does not contain all the information, you should contact the US Embassy that has issued it. The US visa number is a unique identifier of every individual who has a US visa. The visa will have a lot of information on it, including the visa number. It could be placed anywhere, but it is distinct because it is the only red number on it. The place or color of it does not change whether it is a nonimmigrant visa number or an immigrant visa number. The example above shows what a US visa looks like and you can clearly see the number on it. Those who are living in the United States, might need a Schengen visa to travel to Europe. Click here to learn how to apply for a Schengen Visa from the US. US visa or Green Card holders who wish to travel to the United Kingdom, will probably have to obtain a UK visa. Click here for more details about applying for a UK visa from USA.